Patient remedies are available same day, powdered extract teas require a 24-48 hr. period to combine before pick up. Asherah prescribes GMP certified, high quality tested and safe, Chinese patent remedies (pill form) and powdered Chinese herbal medicine made as a tea to affect the best health outcomes for her patients. 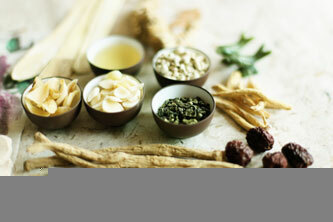 Chinese Herbal Medicine is an ancient practice of medicine dating back two thousand years and rooted in legendary history. In the hands of a properly trained practitioner, Chinese herbal medicine is safe and uses natural substances, mainly mineral and plant, to balance the body/mind/spirit system. The profound efficacy of Chinese herbal medicine can largely be attributed to its ability to be custom tailored to the individual via the prescription of raw herbs or powdered herbal tea. Bringing the individual into balance is once again the primary aim of this medicine. All herbs used at Awakened Heart Healing Arts are heavily screened and tested for any toxicities or impurities by well-recognized laboratories within the United States. Prescriptions are available for pick up at either office location 1-2 days after being prescribed. Patients are called when their formulas are ready to be picked up. Patent medicine is available the same day as the appointment.